Home→Uncategorized→Where Did I Put My Hairbrush? 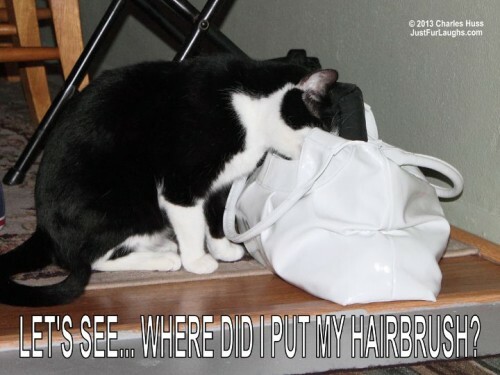 I don’t know why, but cats seem to have a fascination with purses. Here is another example.